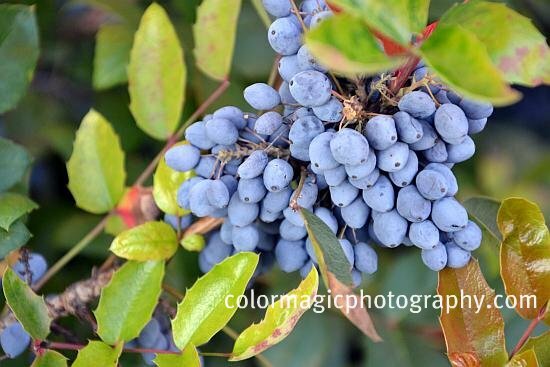 Creeping Oregon grape or Creeping Mahonia (Mahonia Repens) produces showy blue berries in autumn. Creeping barberry is an attractive evergreen bush, very appreciated in landscaping. 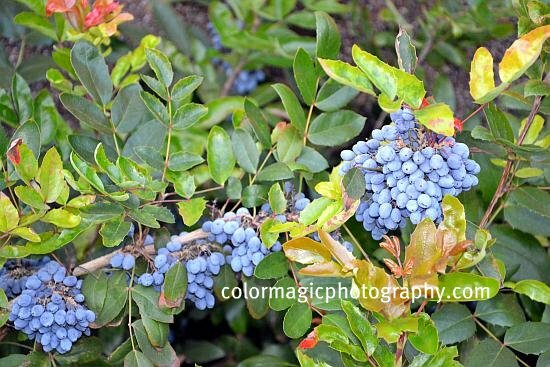 In spring Creeping Mahonia produces bright yellow flowers and matte blue berries in autumn. Its shiny, dark green, waxy leaves turn a warm bronze in winter.